Last year, Chuck picked out a necklace for me. This year I added a new stone to it for Alex. I love how it turned out! We didn't go with birthstone colors. I love that Chuck picked darker colors for us and lighter ones for the kids. 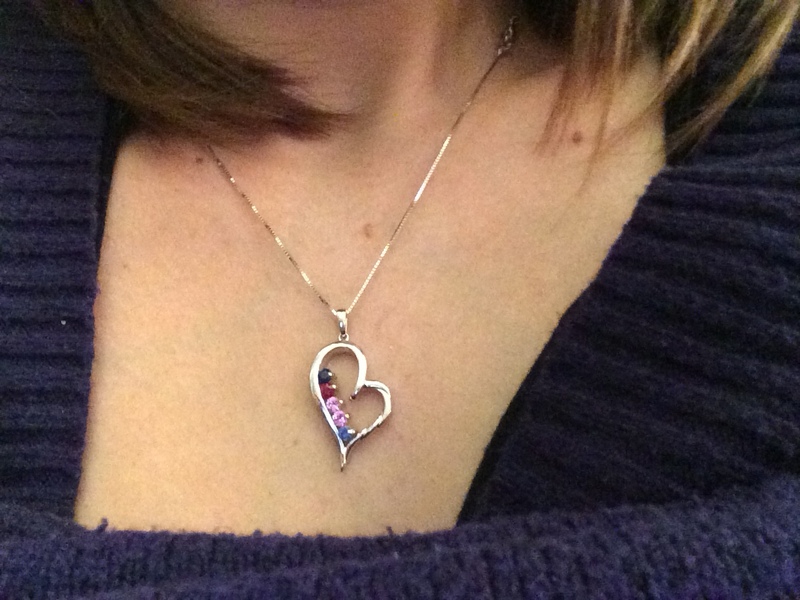 It's one of my favorite and most special pieces of jewelry! I highly recommend getting one.